"Take care of your body so that your soul wants to live in it"
Laser Médic Spa specializes in high-end esthetic treatments and offers a range of services adapted to its customers for more than 15 years. 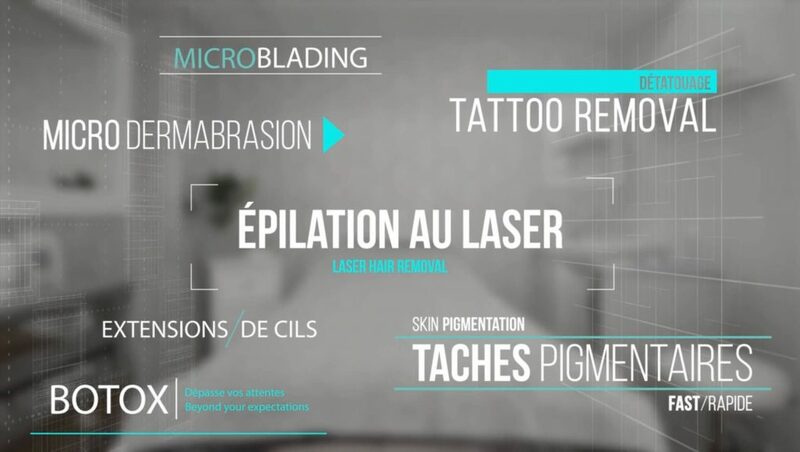 Laser Médic Spa is a clinic for whom results alone matter; it is important for this clinic that clients come out with concrete, visible and satisfying results in one appointment. It is also for this reason that it has, on its own, obtained more than forty specialized diplomas for various fields in medico-aesthetics. The specialized and experienced team of the clinic advises you and proposes solutions to obtain the expected results. Complementing your well-being, Laser Médic Spa dedicates its know-how and attention to each client and client so that they come out of the clinic satisfied and comfortable in their skin. Laval: Laval-des-Rapides, Viau Bridge, Duvernay, Vimont, Chomedey, St. Vincent de Paul, Sainte-Rose, etc. 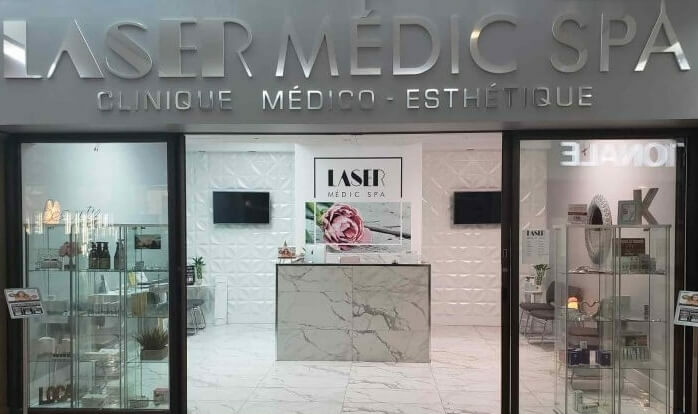 The Laser Medic Spa Clinic is being formed around the world; it is with great perseverance that she has brought to Europe, Mexico, Israel and several other countries in Canada new trends in medico-aesthetics. It is for them all care that bring happiness and well-being to the woman and the man of today. We all know that common well-being starts with oneself by looking in the mirror and being well in one's body or simply jogging, but the bottom line is to be good with oneself and It is at this moment that Laser Médic Spa intervenes to the well-being of all and everyone as well in the well-being of the body, the head and the spirit. We offer laser hair removal, permanent makeup, teeth whitening, peeling, eyelash extensions, tattoo removal, varicose veins and rosacea treatment, photo rejuvenation, microneedling treatment, eyelash enhancement, cellulite treatment, organic tan spray, plasma technology, tricopigmentation, injections and much more. All these treatments come with a total collaboration of the Laser Medic Spa team and you will see that your experience will keep you in the world of today with its current trends. The team, Laser Medic Spa certified, offers aesthetic solutions and advanced technologies for an exceptional result that suits your needs. Did you know that all our treatments can be offered as a gift certificate? Ask our staff. Our attentive team listens to you and proposes appropriate solutions for all types of skin and all situations. Our experienced specialists will advise you on the best treatments and ensure your well-being. Receive your care and relax in a warm atmosphere. Our equipment and facilities are designed according to our clientele. Your well-being and comfort are at the heart of our success. We use recent, state-of-the-art instruments to achieve satisfactory results that meet your expectations. We remain on the lookout for trends and innovations in the field of aesthetics. "LET US TAKE CARE OF YOU AND HELP YOU GET THE DESIRED RESULTS. " For any request for information or information, do not hesitate to contact us, we will answer you as soon as possible. * A 50% fee will be added to your account if canceled less than 48 hours before your appointment. Laser Médic Spa specializes in high-end esthetic treatments and offers a range of services adapted to its customers for more than 15 years.